Ryan Kohl, a 15 year mortgage professional in the finance industry, is the CEO and Vice President of Express Capital Mortgage Inc. Because of his nearly 4 year endeavor building “bankable loan products” for Canadians, he has been regarded an authority in his field for this niche. In 2011, Ryan was awarded by National Mortgage Professional Magazine as “Top 40 under 40″ most influential mortgage professionals for his work in building new loan products for Canadians. Ryan brings his knowledge, structure, and inner workings as it relates to leveraging, purchasing, and maintaining investment property for Canadian investors who purchase real estate in the USA. Utilizing a few key relationships to start, Ryan began forging strong relationships with decision makers within banks and other lending institutions to drive home the need for Foreign National Investors. He has assisted directly in product development and current uses ongoing loan performance in hundreds of loans to Canadians as a strong indicator of risk. Furthering to today, he has enabled Express Capital to have dozens of sources of financing for Canadians across almost any type of property. He is married with a 4 year old son and 8 year old daughter. Professional Real Estate Broker, Nancy Golba has dedicated an honorable 30 years to the industry. She is devoted to helping others achieve their investment goals by creating and managing several real estate companies, including The Golba Group,Inc. The Golba Group, Inc. has received numerous awards for outstanding property management, customer service and sales. She has proudly been an active member of the National Association of Property Managers since 1993. Nancy has chosen Express Capital Mortgage as her brokerage because of its connections with Canadian homeowners and investors in the US. She feels very blessed to be working with her Canadian friends. Her company in Phoenix called ‘Sun and Golf Destinations’, manages fully furnished homes for and too Canadian homeowners and visitors to the Valley of the Sun as well. When working with Nancy you will be connected to a lady with a world of knowledge regarding all aspects of real estate and financing in the US. Jim Golba has enjoyed an extremely successful career in international sales and marketing. With his executive corporate experience of over 40 years he was key in establishing their family owned businesses in Phoenix, Arizona. Jim founded Golba Group Construction and Development which is currently active in Globe, Arizona. Financing real estate whether it is land for development, commercial, industrial or residential comes naturally to this professional Loan Originator and Realtor/ Developer. Jim is dedicated to his client’s needs and will not stop until all parties have a win/win situation. You will enjoy working with a true professional who has a wealth of knowledge to assist you with your investment opportunities and strategies. His motto has always been “Persistence Pays Off”. Jonathan has been in the financial industry for past the eight years working for two large international finance institutions, as well as previously working for a valley home builder for three years. He specializes in foreign national financing but is more than willing and able to tackle any real estate financing opportunity a client may have. He has worked with clients with needs ranging from Conventional/FHA/VA residential financing to foreign national Multi-Family Commercial finance. His focus is making sure all persons involved in the process are well informed and satisfied with every aspect of the transaction, making him a strong member of the team. He has lived in the Phoenix area for over twenty five years and is a proud alumni of the University of Arizona. 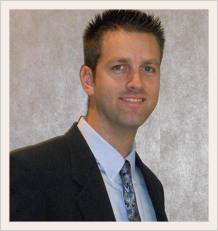 Jonathan is a dedicated loan originator who works tirelessly for his clients. As a licensed Originator at Express Capital Mortgage, you can expect an authentic experience defined by honesty, integrity and fun. Whether you’re refinancing a mortgage or buying property for the first time, you deserve a smooth, respectful and personable transaction. Bryan lives in Gilbert, AZ and in his free time loves golf, playing softball and rooting for the Iowa Hawkeyes. (Go Hawks!). Craig has been in the mortgage industry since 2005. He began in the private lending sector where he specialized in providing short term loan opportunities to professional real estate investors. He continually displays an expert knowledge of the local real estate market and is an amazing resource for any investors seeking portfolio, commercial, or fix and flip financing opportunities. He’s now at Express Capital Mortgage because as a specialist in investment loan opportunities he believes, not only are Canadian investors fundamentally friendly, but they also provide challenging loan scenarios and are very savvy real estate investors. He enjoys helping clients not only find the lowest rates and fees for their mortgage loans, but also helping each client make the best decisions for their own unique situation and lives. To do this, Craig believes that each client’s needs must be thoroughly considered and only then can recommendations be made for the right mortgage product. Far from just “selling” a loan, Craig believes in providing expert advice and solutions, and then following through to make sure those goals are met. It’s this approach that has allowed Craig to be able to work with not only new clients, but many repeat clients who come back to him again and again through the years. In his personal life in Scottsdale, he stays very busy with his family, enjoys, hiking, road biking, playing golf, traveling and just about anything else he can find time to do when he’s not working!